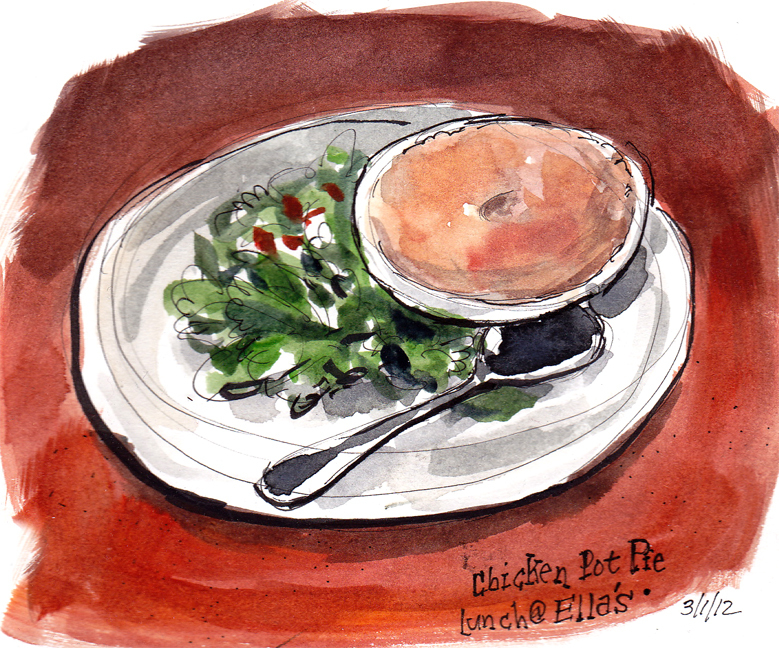 Chicken pot pie cooking on the stove at Ella's. Is it ready yet? I'm hungry. There we go! 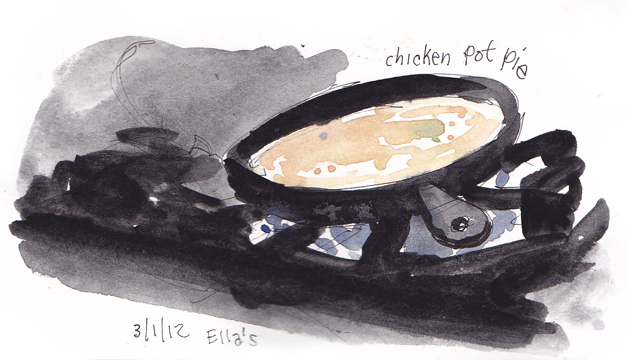 And piping hot, too. I had to let it cool off a bit. Perfect on a cold day!